More specifications we can accept the customized as you required. 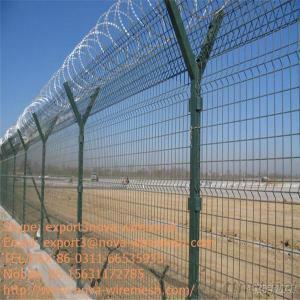 Material: Low carbon steel wire, stainless steel wire, aluminum magnesium alloy wire. Surface finish: PVC coated, electronic galvanized or hot dipped galvanized. Used for municipal building in the park, lawn, zoo, pool Lake, roads, and residential segregation and protection.